One of the most common mistakes in eLearning is that authors create modules that are way too large. Research shows that the ideal duration of a module is 15 to 30 minutes. Of course this depends on audience, topic, and degree of interactivity. But smaller is better, that much is clear. This creates challenges for the eLearning author; what to do if you have 10 hours of learning material? But it also opens up possibilities for spaced learning and adaptive learning. In this article I will describe possible solutions like learning paths and learning GPS and I will add a future outlook to that. Smaller is better, this has always been the case and today that is even more so. More and more learning is done through mobile devices. They are suitable for a short video or quiz, but not for an extensive module. Therefore you have to create small pieces of eLearning: They are called learning nuggets or learning snacks. Make sure that you cut up your learning material in these small pieces. They will suit mobile devices and they will give all the learners a better learning experience. In 1885 Hermann Ebbinghaus came up with the idea. Research showed that people will forget most of what they have learned in a matter of hours or days. 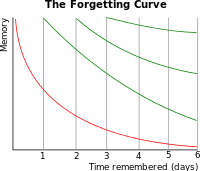 The forgetting curve (the red line in this image) shows how fast and how much someone will forget. The solution is simple. In order to get retention (keep it in the memory) you have to repeat it. The green lines in the picture represent that. Every time knowledge is repeated the learner will remember more. In the end the knowledge will be transferred from the short time memory to the long term memory and will be more or less permanent available. And what has this to do with learning nuggets? Well it is easy, repetition of small nuggets is a great way to fight the forgetting curve. Preferably these nuggets do not repeat the same knowledge in the same form but they vary in format; a content nugget, a video, a quiz, all on the same topic spread out over time. That is spaced learning. Learning nuggets also play a big role in making eLearning fit an individual learner’s need. All learners are different and your eLearning should adapt itself to the learner. Each learning nugget will be a learning activity. Based on additional Meta Data, adaptive learning systems will determine what the next best nugget is for an individual learner based on his results and his profile. Obviously this works better with smaller modules than very large ones. A bunch of smaller modules present more opportunities to steer the direction of the learner than one big one. 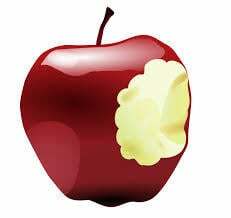 So we have learning nuggets, spaced, and adaptive learning. Does this mean that you will end up with a huge collection of separate learning activities? No, it does not. You can create a learning path tying the learning nuggets together in a logical order. There are many Learning Management Systems that will allow you to do that. My own authoring eLearning software Easygenerator facilitates this as well. But if you take the spaced learning and the adaptive learning into account this should not be a one size fits all learning path. It has to be flexible. You can do that by adding conditions to the path. Of course there are many conditions you can come up with but time and result are the two main ones. Time conditions are relatively easy. To cover a topic you will create a series of small nuggets and present them to the learner spread out over time. A learning path will give you the ability to set these time intervals. But how many nuggets and with what interval? Paul Pimsleur did research (in 1967) and found this repetition schema: 5 seconds, 25 seconds, 2 minutes, 10 minutes(1), 1 hour, 5 hours (combine them in 2), 1 day (3), 5 days (4), 25 days (5), 4 months, and 2 years. I do believe you can simplify this somewhat. You will probably combine the first 4 into your first nugget, repeat it the same day in a different form, and then at least after 1 day, 5 days and 25 days. So 5 nuggets in all with time as the condition to trigger the learning. For example, a content module to introduce the topic (1), a quiz to test it (2)a video to repeat it again (3), maybe a short content summary (4), and finally a quiz or assessment (5). Result conditions can be more complex. The simple form is that a learner is only able to go to the next nugget after successfully finishing the previous one. But that still gives a linear path. So you want to diverge to adept. If someone did badly on a certain topic maybe you have to repeat that content again, or maybe even send him back to a more basic module. If they did really well, you might want to offer them extra knowledge. In order to do that, you need an adaptive learning system like Knewton or an adaptive Learning Management System. But although this is crucial to the learning outcome, not many people can spend the time and effort that is needed to set this up. You need to tag all content on a variety of things, making this process complex and time consuming. I foresee a different and easier way of adding conditions (like time and results) to the nugget. I call that concept the learning map. We are currently developing a test version of that at Easygenerator. It will need a lot of tests and improvements before we can add it to our product, but we expect a first working version by the end of this year. An important difference between mentioned adaptive learning systems and a learning map is control. With the adaptive systems the system is in control, based on the information it will determine what is best for the learner. I don’t like that. I believe that the learner should be in control. A learning map will map out all options for a learner and he can determine his own learning path. He can even decide to start with the final exam if he wants, and if he passes the test he is done. Learning is not the goal by itself. A map also allows the author to organize his modules in a different graphical way. You map out the modules, roads connect them, and crossroads offer a choice to the learner. Et cetera. A map will put the learner in the driver’s seat. But we can take that metaphor one step further to a learning GPS. 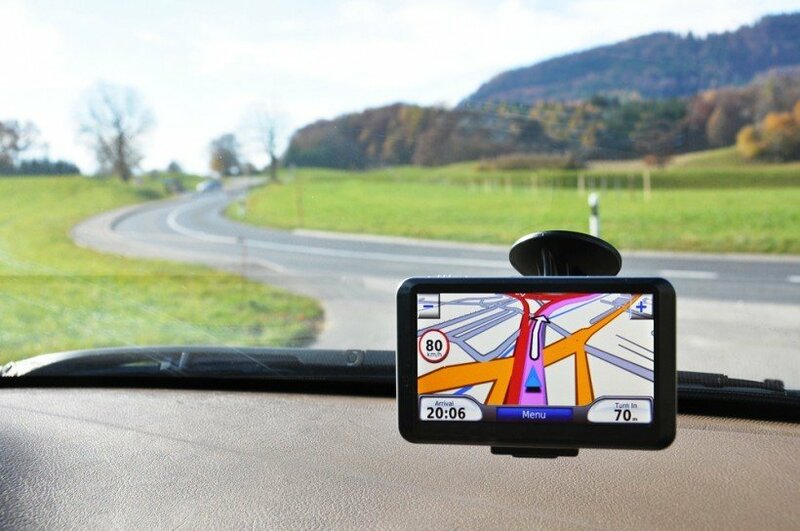 Like with driving, a GPS will beat the map as well for learning. I envision a learning GPS based on the map information, like the GPS for the car works. You can set your learning preference like you can set your preferences in your cars GPS (no ferries, take highways). You set your learning goal and the GPS will plan your learning route. But when you come to a crossroad and take a left instead of the planned right, the system will just recalculate your route and adept. Putting the learner in charge and present byte size learning snacks that will facilitate both spaced learning and adaptive learning that is where I want eLearning to go.